I have a semco apron and I googled it and it came up with your beautiful semco apron. 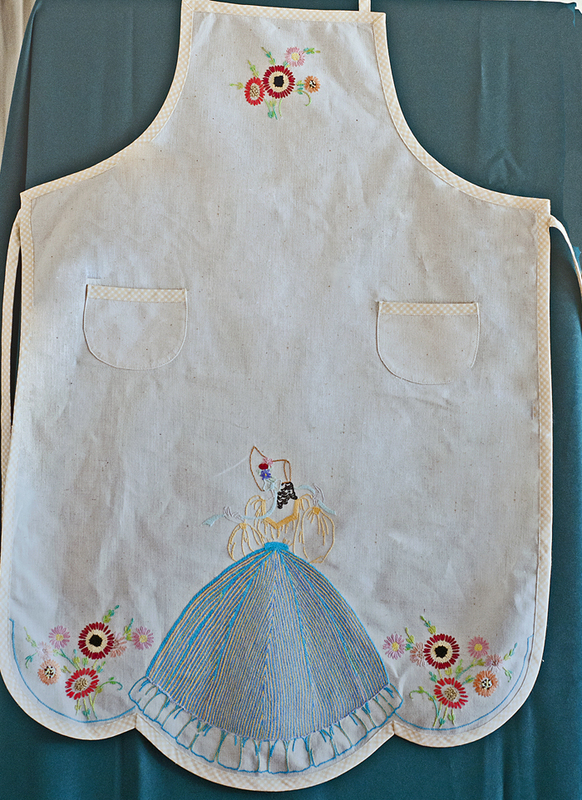 This apron is made of sacking with material trim. It was shop bought as it has a semco label. If you would like to see a photo of it please send your email address and I will attach a photo. Ps. I am in New Zealand. Do you know much about Semco ? Those vintage Semco kits are definitely around (I have some going back three generations), and partially completed ones sometimes turn up on our “Recycle table” (deceased estates or just the backs of cupboards!). I believe that Spotlight stores (are they also in NZ?) stock a whole lot of Semco, but usually sewing accessories- they must still be producing, but I’m not so sure about embroidery kits. I have seen some up on the various trader web sites.